Home » block lotto community » It is finished – – – It’s an Official UFO!! It is finished – – – It’s an Official UFO!! Posted by Automagically imported from Blogspot on January 29, 2010 in block lotto community | Comments Off on It is finished – – – It’s an Official UFO!! Well, it’s officially a UFO! 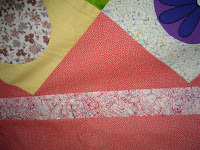 Just have to send it out for the quilting! This was soo fun! 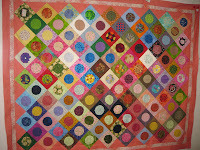 How I wish my Grandmother’s Flower Garden quilt would get come together this quickly!! 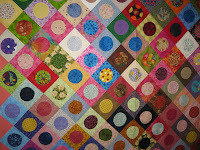 Happy Quilting to ALL!! … and THANKS to each one of you who contributed blocks to my newest completed UFO!